Before you go, know that cave à mangers are not the same as wine bars (bar a vins) – here’s your quick cheat sheet to know the difference. Cave à vins: A wine store. Cave à Manger: This is a contraction of “cave à vins” and “salle à manger.” These are wine stores whose license requires them to serve wine with food, so they serve light snacks to accompany wine sold in the shop. They are a good value as you only pay a small corkage fee which is less expensive than a wine bar. 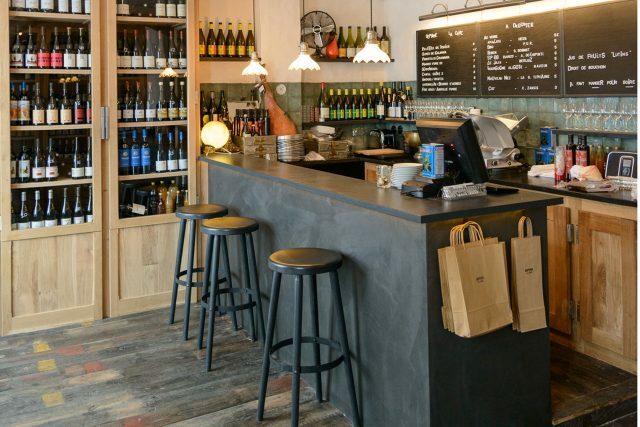 Bar à Vins: This is a wine bar that functions like a restaurant, but not at all formal. Menus are a la carte, and choices ranges from light to heavy so that you can order several plates to share. 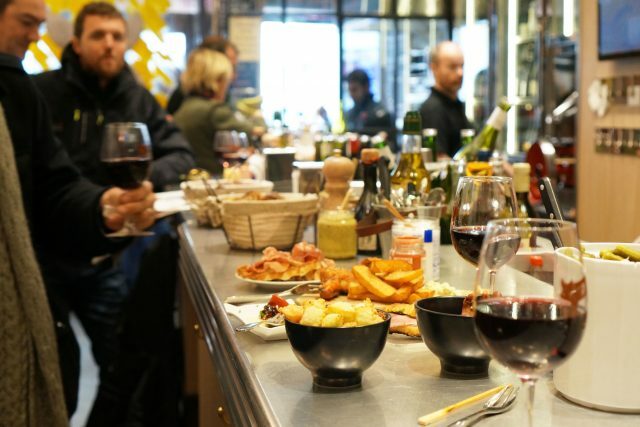 Popular wine bars are Frenchie Wine Bar, The Clown Bar, and Les Enfants du Marche. 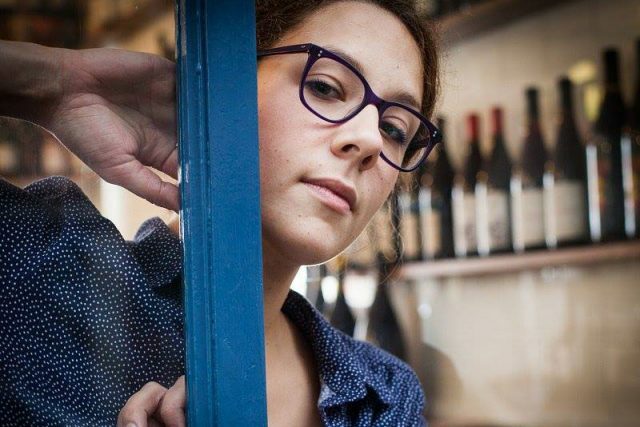 “Top Chef” Romain Tischenko’s cave a manger is extremely popular with the food & wine industry, especially on Sunday night – who eat & drink standing at the bar grazing on small plates and bottles of natural wine. If you like what you are drinking, definitely buy it to go, it may be the only place you’ll find it.